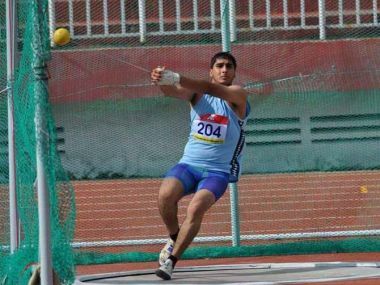 Coimbatore: Ashish Jhakar was the star of the final day of the Federation Cup Junior National Athletics Championships as he set a new national record in the U-20 men's hammer throw event in Coimbatore Sunday. 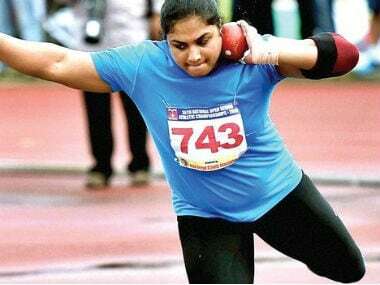 Jhakar, a former gold medallist at the Asian Junior Championships, threw the 6kg iron ball and chain to 75.04m to shatter the previous record of 71.53m in the name of Harvinder Singh Dagar at the 2010 Asian Youth Championships in Hanoi. Damneet Singh, the 2017 World Youth Silver medallist, was second with an effort of 70.37m while Nitesh Punia took the bronze with a best effort of 68.27m. The day also saw a meet record being set in the U-20 women's 5000m race. Punjab's Suman Rani ran a time of 17:02:67 seconds to erase the old mark of 17:10:95 seconds set by Sanjivani Jadhav in 2015. In what was a fast-paced race, even the silver medallist Poonam Sonune went under Jadhav's old mark. Sonune of Maharashtra had earlier won the women's 3000m race and nearly made it two gold medals before eventually settling for second with a time of 17:03:30 seconds. Savita Pal of Assam took the bronze with a time of 17:54:87 seconds. Also matching an old meet record was pole vaulter Dhirendra Kumar. The 19-year-old from Uttar Pradesh cleared a height of 4.80m to level the record with S Siva who managed the same effort in 2015. Anuj of Telangana and Yogesh Sakthivel of Tamil Nadu took silver and bronze with successful jumps at 4.50m and 4.40m respectively. Sprinter Akash Kumar found some redemption in the U-20 men's 200m race. 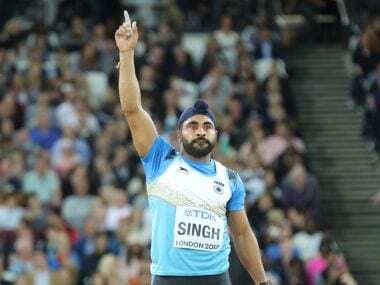 The 19-year-old from Uttar Pradesh was the defending national champion in the U-20 100m race but was shocked by a national record setting performance by Gurvinder Singh in the second day of the competition. In the 200m final though, running in the absence of Singh, Kumar easily took gold clocking a time of 21.53 seconds. 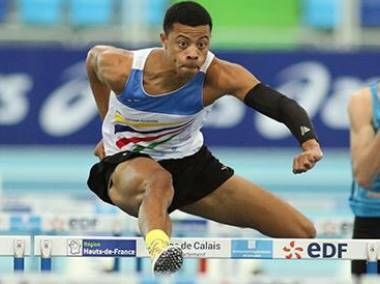 He beat Tamil Nadu's Nitin Scidanandh who recorded a time of 21.95 seconds. The bronze went to Satnam Singh of Punjab, who clocked 21.98 seconds.